We remember our faithful German Shepherd Dogs who are no longer at our sides, as well as those who have loved them. 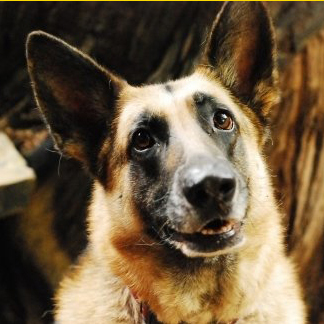 This is a place to offer tribute to the German Shepherd Dogs who are or have been important parts of our lives and the people who have been friends to Shepherds. We welcome postings including dog or friend's name, your name (or "anonymous"), and a contribution to GSRNC. 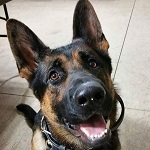 If you have a memorial page on the Web to your German Shepherd or Friend, we can link to it from here; just let us know the URL. If you wish to include a photo with your posting, please email us a jpeg photo file. Please send all text, photos and URL links to : webmaster@gsrnc.org. You can now donate on-line by clicking on the PayPal link, and enter a donation amount (minimum of $25 please) for each In Tribute posting. When you come to the section that asks you to review your donation information, click on “Review”, then on “Enter Tribute or Special Instructions”. 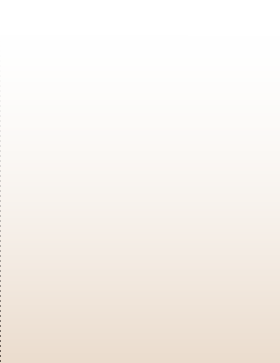 In the text box, enter your “In Tribute” message, the name of the dog you wish to sponsor or any other instructions to GSRNC. 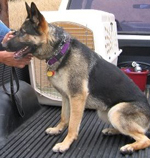 Or, send us a check by mail to: German Shepherd Rescue of Northern California, Inc., P.O. Box 1930, Cupertino, CA 95015-1930. In memory of John Ferrari. From: Larry and Enid Kissinger. In memory of Mary Lyons. In loving memory of my beautiful girl, Sicily. Forever in my heart! 07/28/2007-01/22/2018. In loving memory of Mary Lyons, who joyfully loved all their families' GS puppies. In memory of Mary Lyons, great lover of GSD's and all other puppies. In loving memory of Mary Lyons. In tribute to Lady, adopted by Bruce Wolfe, who passed away recently after a life of service and support. She was inspiring. In honor of Sister Zoe. From: Robert and Linda Chaudrue. With appreciation for Savannah and in memory of her best friend Sparky (2000-2018). Dear Super Perfect Serkie, Thank you for donating money and thinking of us. Some day you are going to have a German Shepherd puppy or dog. Thank you! In memory of Charys Sayre. In memory of George Oakes. From: Lawrence & Babette Squires. In honor of Luci - Best Ever! In honor of my parents Grady and Mary Jeter. Thank you to GSRNC for all the wonderful deeds you do! In loving memory of my Simba! Woof! In honor of Julia Priest and her contribution to the breed. In honor of Andrew McCurdy and Atlas. In memory of David Hamilton. For our most amazing Sharon Maloney. We sure do miss you. In honor of Darcy Dog. In honor of Jackie, Marv & Friedrich Hervey. From: Leslie Gordon and Harry Goss. In honor of Andy McCurdy. In honor of Charys South Sayre. In memory of Charys South Sayre. In loving memory of Charys Sayre. We miss you and love you gorgeous Magic, angel with paws who is forever in our hearts. In honor of Lorraine Kainuma. Thank you for your years of animal love and rescue work. 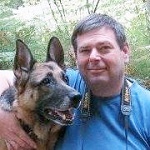 In loving memory of David Hamilton whose caring spirit made a difference for more than one German Shepherd. In memory of Tyson Grove. A good dog and best friend. In memory of Lucky Day, who was loved by Arne, Maria, Stephen and Anthony Lim. In loving memory of our Shadow girl with whom we failed fostering 101 and never regretted it for a moment. In the memory of Ronald Joseph Silva (Ronnie) for his love of the breed. In memory of Joyce McKeehan. In loving memory of Diamond. In memory of Ruth Gugerli. In memorial of "Ranger" Rehn. A GSD who loved tennis balls, games and all his people. In loving memory of our GSRNC doggy pal, Rio. You are in our hearts forever. In honor of the 65th wedding anniversary of Charles and Phyllis Adams, a wonderful couple and lovers of German Shepherds. In memory of Bert "Andy" Anderson. In loving memory of a wonderful friend, Bert "Andy" Anderson. In memory of Jackson Kirkwood. I was always happy to pay my taxes because Jackson was always in the office to welcome me. He was a love. In memory of Ajax, who was loved by Shubham and Vidya. In memory of Marge Reuter who was the owner of many German Shepherds over the years we knew her. Her most recent adoption was her beloved dog, Callie. In memory of Gigi Chapman, a very sweet German Shepherd, who recently died. In memory of Credo who was loved by Jim, Jan and Kate Hill. To my beloved Kaiser who left this earth, but not my heart, in August. For Corbit. We miss you're at the rainbow bridge with your friends and family. In memory of Shadow and Bonnie, both wonderful GSD's. In honor of Dan Steffe. In memory of Kelly, Telly, Adora and Kit. There are dogs and then there are German Shepherds. In memory of our sweet girl, Vanessa (aka Schatzie). In celebrations of Jackie & Marv Hervey and the work they do with GSRNC. In memory of Fred T, a fantastic Thulani dog who warmed our hearts and hearth. For my parents, Brad and Janis, in loving memory of their shepherds, Topaz, Titan, Spartan, Bailey and Nala. In honor of Mr. Doug Greene. In memory of John Kurtilla. In memory of Ethel Pont, a true lover of the German Shepherd. In memory of Simba, my best companion for every adventure! Woof! In honor of Andrew McCurdy, the best doggie dad in California. Missing our Sharon Maloney. Merry Christmas, Grandma Sharon. In honor of Joan Hoover. Thank you Joan Hoover fro continuous friendship and hospitality! In memory of Carroll Reynolds. In memory of Stephen W. Crozier. In honor of Stephen William Crozier, our dear uncle and brother. In memory of Roxy and Diego to help sponsor dogs until we adopt our next furry family member. n loving memory of Steve Crozier and Solomon, his loyal German Shepherd. In memory of Steve Crozier. In memory of Steve Crozier, with thoughts and prayers. From: Jack's colleagues and friends at Sococo. In memory of Vanessa, a very sweet girl. In memory of our buddy, Carroll Reynolds. We miss you buddy. In memory of Vanessa,a beautiful girl rescued by Peg Sipos & Melita Figueroa in 05.She couldn't have gone to a better home or more dedicated owners.Always in our hearts,a full & wonderful life lived. In tribute to our wonderful pup, Kiva, and all the incredible work this rescue does for these amazing dogs. In memory of lovely Oscar and the family that rescued him. In memory of our sweet GSD, Kara. In the honor and memory of Carroll Reynolds. In honor and memory of Carroll Reynolds. In loving memory of Carroll Reynolds, a dear friend. In honor of Carroll Reynolds. In loving memory of Carroll Reynolds. In recognition of Joan Hoover and James Rabjohn. In memory of Patricia Greenhood. In memory of Lloyd Connors. 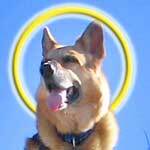 In memory of best shepherd ever, Xion. In memory of Lloyd James Connors. In honor of Sheba, my childhood best friend. In memory of James Edward Jones. RIP. In memory of Frieda (Friga). She is greatly missed by me and Nick (GSD). In honor of my friend Patricia Greenhood. In honor and memory of Murfee. In memory of Prima, my best friend. In memory of GSHD Storm. For my Coriander / your Wiley, adopted from GSRNC Aug 2015. In tribute to beautiful and gentle Zula, whom we adopted a year ago. From: Nurit and Matthew Jacobs. For Max, We will all miss you so much and will never forget you. Love Miss Lola and Sassy Mimi and the neurotic cat too. In memory of Louise Noroian. 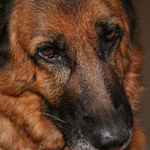 In memory of Cassie, a wonderful, loving German Shepherd. Member of the Fritschen Family. We all loved her so much and treasured the time we had with her. In memory of Louise Moroian. In memory and love of my favorite companion, Simba. In honor of Russell Lee & Koda. Thanks for doing what you do! In honor of Bob Jachens. Merry Christmas! In honor of our amazing yoga family. Lokah Samastah Sukhino Bhavantu - May All Beings Be Happy and Free. 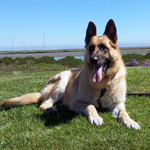 In honor of Patty Steinfurth, my mother and GSD rescue owner living in Aptos. My sweet Greta, my 6th GSD. Love and miss my beautiful Greta Goose. In tribute to Stacy B (renamed Sookie), adopted 2010 . . . may she R.I.P. On behalf of Turf now known as Ace whom we adopted in April 2015. In memory of Tito/Happy and in honor of Jackie and Marv Hervey who gave him a save and peaceful final chapter. Honoring my childhood companion and first German Shepherd, Duffy. Always in my Heart. In memory of Andrew (Drew) Robert Dziki. In honor of Jean & Richard Zukin. In memory of Laura Bjorklund. In honor of Darry Neubauer and Maui. In honor of PJ. We adopted Adira through you 2 years ago. Thanks for all your help. Adira is doing great. 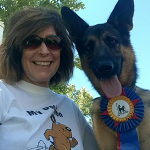 In memory of Carol Jean Bettencourt, a devoted German Shepherd lover and supporter of GSRNC. In memory of Kimi, a beloved companion to Kay & Mike Furutani for 15 beautiful years. In memory of Laura Bjorland Sherr, for Alan Sherr. We remember the happy times with Laura. We miss you and will keep Alan close to our hearts. In memory of Vienna. It was an honor and a joy to be your pet sitter. The Lee Pack is not the same without you. From: Janise, Amore Pet Sitting Services. In memory of Beverly Gilpin. From: the "Coffee Club" at Latif's Restaurant in Turlock, CA. In honor of Bev Gilpin of Turlock. In loving memory of Bev Gilpin, a strong supporter and original member of GSRNC. In memory of Lynore Slaten. In memory of a beautiful person, Carol Bettencourt. In memory of my west coast mom, Lynore Slaten, who showed us all how to live and love well. In memory of wonderful Woody. Adopted and loved by Randy and Cindy Reid. You are missed Woody. We will see you on the beach in heaven one day! In memory of my wife, Meredith Noreen, GSD owner and handler. In memory of Molly, one of the best. In memory of Molly Gable. The best dog ever. 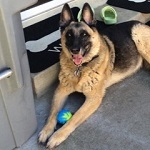 In memory of Aviana, German Shepherd Rescue dog adopted by Bev & Rich Heintz. With thanks to Susan Hanna for helping us out with a troubled shepherd. You all are wonderful! 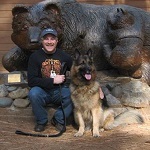 In memory of Robert Lee Sisemore, a German Shepherd breeder and AKC dog obedience judge. In Tribute to Kim Friberg, A SUPER AMAZING woman! Thank you - you are truly an angel!!!! In loving memory of Libby. Run free my darling girl! In memory of Rebecca Weir. In memory of Rebel and Shepsi, owned by Allison Kozak & Howard Yellen. In the memory of James Yribarren. From: Rotary Club of Martinez Foundation. In memory of Calvin, a rescued German Shepherd, aka Boo Boo. In memory of Scott Gordon. 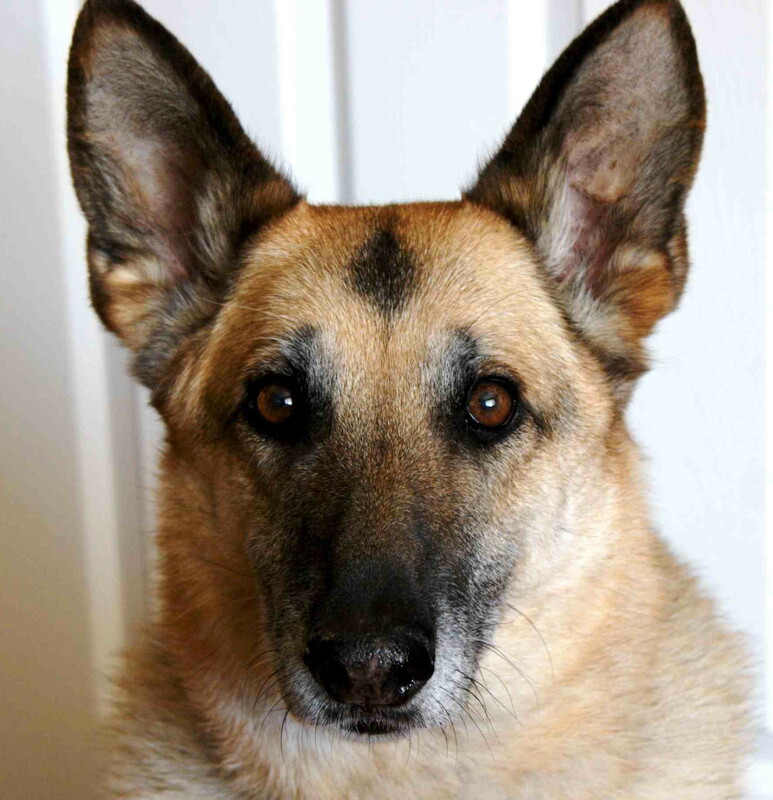 In memory of Deb Bernstein and Mike DePaoli's beloved GSD "Rembrandt." You were deeply loved "Remmy" and are missed. In memory of Calvin, aka Boo Boo. In honor of Hero K-9 Officer Jethro of Canton, Ohio. 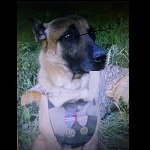 In honor of French hero police dog, Diesel, Belgian Shepherd of Paris. Merry Christmas Ken, Francisco & Kacey! And a very Happy 2016! In honor of Alison Kozak and Howard Yellen for their generosity and kindness. In honor of Bob Jachens. Merry Christmas Dad. In memory of Cooper and Tejay. In honor of the Jeff Duesterbeck family and the pets that they have rescued. For our wonderful Sharon Maloney. We miss you each and every day. 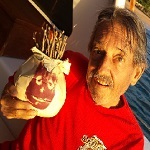 In loving memory of Jim Yribarren, ret. 6360.May you always be remembered for your generosity,kind soul,immense sense of humor and love of German Shepherds.Blessed to have had you apart of my life. Thoughts and prayers to Diane and family. With love, the Greek. In loving memory of my grandma, Erma Thrasher, and her beloved German Shepherd, Bandit. We all love you and miss you. In recognition of the marriage of Gabby Schrader and Pat Skora and their commitment to helping German Shepherds. In memory of our amazing friend & leader, Xavier Guerrero, and his dog Yuki. May you rest in peace. Love and miss you. In memory of Xavier Guerrero. In memory of Xavier Guerrero and with so much love for Stephanie Sotomayor. In memory of Ms. T., a very special little girl that moved to Heaven 5 months ago today. In celebration of Mr. Nemo's charmed life, and the joy he found in each day of his 16+ years. My condolences to all who loved him. In celebration of Nemo's life. All my best to Julia and Beth. In memory of Tom Maple. From: Dave, Patty, Shelly, Craig, Caden, Stacy & Steve at A. Rafanelli. From: Your friends at General Telcom. In honor of Mr. Scott Gordon. In loving memory of Scott Gordon and the German Shepherds he loved so much that brought him comfort and companionship over the years. God Bless. For Scott. Thank you on behalf of the doggies and the lives changed by them. In honor of Scott Gordon. May you always be remembered for your generosity and love of German Shepherds. In honor of my good friend, Francisco. Bon Anniversaire, mon ami! In memory of Bella Williams. In memory of Alvin Kincer. In memory of Mark Quinn. For Giselle who found a wonderful home with Celia Driscol . . . and in memory of her beloved GSDs she has lost . . . Jill & Jack. In memory of Simba, dear boy, and companion for Indu, Speedhar and Rowan. In Memory of Sophie, with me 13+ years. My house, yard and life are empty & my heart is broken - I loved her beyond words. She never gave up - a great dog. In honor of Valerie Auerbach and Kathleen Gilheany and the Thulani Program. Keep up the good work! In loving memory of Jackie (Patience) adopted January 21, 2006, age 4 - 6 years, died November 24, 2014 of ocular melanoma. She is sorely missed. In honor of the Ernsters and Herveys. In memory of Fran who adopted Ranger. In loving memory of Gryphon (AKA Mickey), with special thanks to Dr. Boltz at Adobe who tried her best to save him in the middle of the night. He was a loving dog and special member of our family. In memory of the phenomenal Sharon Maloney. Not a day goes by that we don't miss you. In honor of Lani Christianson. Thank you for all you do. A donation to the Thulani Program in memory of Hannah Layton, and in support of our friend Janie Layston in her recent losses. In honor of Delta, a wonderful partner of Allan, and special to all. Your time here was a gift to us. You are in our hearts now and always. In honor of Carlisle, a wonderful partner of Gina, and special friend to Diesel. Your time here was a gift to us. You are remembered in our hearts now and always. In honor of Jana, formerly known as Oceana. She has been part of our family for 2 years & is one of the happiest dogs we have ever had! Thank you GSRNC for rescuing her & for letting us take her home. In tribute to Sally, our fearless shepherd rescuer! In memory of our boy Saxon. Goodbye came too soon. We miss you. 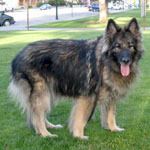 In memory of Jeanne Davies and her love of German Shepherds. We think of her often. In honor of Rita Balliet and her love of German Shepherds. Her rescues Heidi, Rocco and Peymon have all brought her such joy and love. In memory of my husband, Bill Woodard. In tribute to our German Shepherds Frieda and Nick for the love, joy and comfort they give me. In memory of our wonderful Heide, who came to us in January 2006 at age 5 1/2. She has been a wonderful companion to us and with her family of 4 cats. For Phyllis Miller, John Saavedra and Colter . . . . . for a long and happy life together! On behalf of Jeanne Davies; may she rest in peace. In memory of Jeanne Davies, Maizie's loving partner. In memory of Jeanne C. Davies, whose devoted canine companion, Maizie, was with her to the end. Happy wedding Kevin and Rebecca! We all love doggies. Yay Dogs! For Rebecca and Kevin. Congratulations and our best wishes on your marriage. May you have a lifetime of happiness. In tribute to the wedding of Kevin Walters and Rebecca Katz. Congratulations to the two Shepherd lovers! In honor of Magnum Erickson. Adopted March 20, 2004. Passed April 14, 2014. In memory of my beloved wife Kim who grew up with German Shepherds & taught me what friends they can be. She has now gone to a better place but I have our little Holly to help keep her memory alive. In loving memory of Sergeant - My "Rock", the most devoted and caring German Shepherd that I have ever shared my life with. In memory of our wonderful German Shepherd, Gretta. Thank you for 11 wonderful years of love, friendship and fun. 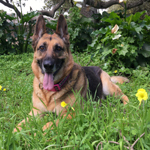 In memory of Lauren Choi, a beloved German Shepherd who passed away on May 22. I want to thank everyone at GSRNC for everything they do for these dogs. My special thanks to Tish McGlynn and Jim Dixson for all the time spent looking for a dog for me. In memory of GSRNC foster Don Champness who gave me GSD Hannah even when he wanted to keep her. He was a great man and GSD lover. He will be missed. He passed away on 1-1-13. Thank you Don. 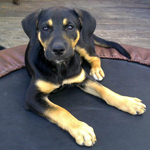 In memory of Don Champness, a GSRNC foster parent who looked after our beautiful Hannah before we adopterd her. Hannah loved Don. In honor of Jeff & Michelle Duesterbeck, their pup Lola. Along with their feline friends. May their love for animals never be forgotten. In honor of Cassie, loving companion to Susan Taylor Brown and family. On behalf of Carl Kidwell - Happy New Year. In honor of Vino, love you buddy. In memory of Vespa. We have a huge GSD-sized hole in our hearts. In memory of Hobbes, who brought so much joy to our dear friend Neil. You will be missed. May this small gift allow someone else to experience the unconditional love of a rescue dog. To Dr. Gilman, Dr. Weaver, Dr. Baine, and the Caring Staff at Bishop Ranch Vet Center for taking such good care of me! In Loving memory of Nancy Milliken. May her smile & laugh live on. In memory of Trinity - an amazing dog and true companion to Anna & Terri. In memory of Roxie Boroff, who loved and was loved by DeAnne and Ralph for too short a time. From: Rita K. Hertel, a co-woker at Lam Research Corp.
From: Donald Harper, a colleague at Lam Research Corp. Honoring Richard and Jean Zukin. In honor of Sharon Maloney. In honor of Marv & Jackie Hervey. In honor of Scott & Greta. In tribute to Scott Patterson and Greta. In memory of Greta, beloved companion to Scott. They are together again. In memory of Scott Patterson & Greta. In memory of Jim Hillgren. 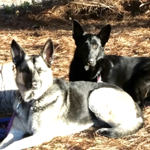 In memory of the four German Shepherds I have been so blessed to love as family members: Zeus, Hera, Tara and Max. I will love you all forever. In honor of Steve Prinz for his incredible efforts organizing, managing and working with Team Garlic at the Gilroy Garlic Festival for the past 3 years. In memory of my beautiful Tara. She was a truly lovely creature and a gentle and faithful companion. In tribute to Wendy Robinson. True beauty is reflected in the soul. It is the caring that is given, lovingly and unconditionally to all animals, that stirs the passion in all man kind. In memory of Bruno, a sweet and loving friend. In memory of GS Sierra Rettig. She enjoyed everyday of the unconditional love of her amazing person Chris who will never forget “sweet face” and the many years and adventures they had together. 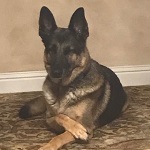 In memory of Pebbles, our adopted and much loved GSD that passed away last March. In memory of my beloved Sophie. She went to Doggie heaven 11/30/10. Jayne "sprung" her in January 2006. Thanks guys. In tribute to Axel & Maxwell, our two wonderful German Shepherd dogs. 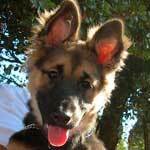 In honor of our wonderful dog Sasha that we got from German Shepherd Rescue in 2008. In honor of Sergeant & Scout. In loving memory of my mother Johanna P. DeOliveira. In honor of my sisters Lisa Crawley & Julie Cason in memory of their beloved Nick. Merry Christmas to Robert Jachens! In memory of Lobo Grande, a truly magnificent dog. Iin memory of her beloved Tally. Thank you for bringing her into my life. In memory of GSD "Hayston"
In memory of our beloved Endie. Although you were a part of our life for only a few years, you taught us a new meaning of love. We will always miss you. In memory of Christina Welcome's dog "Micah"
In Memory of Ella. Who in life and passing taught us that nothing is unbreakable, especially our hearts. In memory of Jim Kramer. We both loved German Shepherds. A close friend from a long time ago. In memory of their much beloved shepherd, "Josie" 11/1996 to 4/2010. May she rest in peace. In memory of Gwen & Joel's "Madie"
In memory of their beloved "Vader"
In honor of Sophie Sue (Rescue #1960) . . . still hanging in there! In memory of the Lundy's "Max"
In memory of Cole. She was my shadow, my best friend. In memory of his shepherd "Jay"
In memory of the Doorlay's "Anka"
In honor of the Lundy's "Sasha"
In honor of the Berg's "Shadow"
In memory of the fallen Oakland police department officers. In honor of JJ Jacobson, thank you for your tireless work in saving dog's lives every single day. In memory of our daughter's Sister Rosa Barks, aka Rosie Rae. In memory of Rosemarie Taneri, her childhood friend and a great dog and animal lover. In honor of "Black Bear"
In memory of wonder dog Arcas and in honor of his faithful human friend Sharon Maloney--a fantastic dog and a kind, dedicated GSRNC volunteer who shared a great friendship. Arcas, you will be missed. In honor of Debbie and Tom Oliver's "Dena"
Loving memories of Roman – My stalker. The epitome of what a Shepherd should be. You will always be loved and remembered. My beloved Savana aka Killer Cannelli – Gone yet not forgotten, although we are apart, your spirit lives within me, forever in my heart. Run free my wild one! In memory of their beloved dog "Jackie"
In memory of Fran and Hal Ruby's "Cody Man"
In memory of Fran and Hal Ruby's "Cody"
In honor of Bob Jachens who got me to foster and I later adopted "Roxie"
In memory of Marian Pott's GSD "Badge"
In memory of Kay Springer's "Jasmin"
In memory of Mark Brown's companion "Dakota"
In memory of his "Storm"
In memory of Debbie and Ben Bernstein's much loved GSD "Buddy"
In memory of Debbie and Ben Bernstein's "Buddy"
In loving memory of "Jadie", she will be truly missed by so many but she loved only one man..and of course, his truck! In loving memory of Talia - run like the wind! In honor in Jayne Nielsen, who pulled "Kai" from the shelter, Dez and Mike Murray who fostered him and Joan Hoover who helped find the perfect dog for us. In honor of the great Los Gatos and Redwood City Adoption Day crews. Thank you for enriching my life. In memory of her SAR dog "Keiko"
In memory of Garda Schlesinger and "Ava"
In memory of Jake, a real good dog! Just this side of Heaven is a place called The Rainbow Bridge. When an animal dies that has been especially close to someone here, that pet goes to Rainbow Bridge.